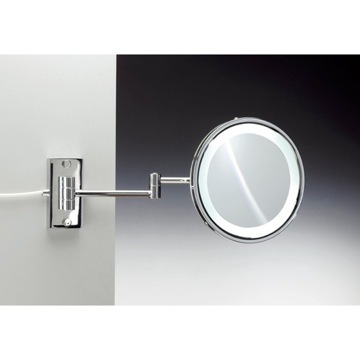 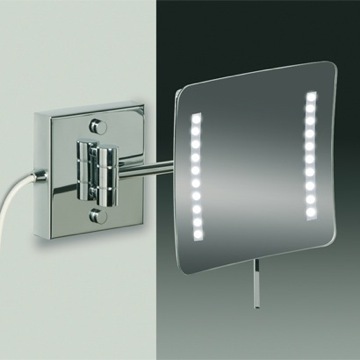 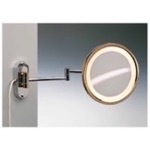 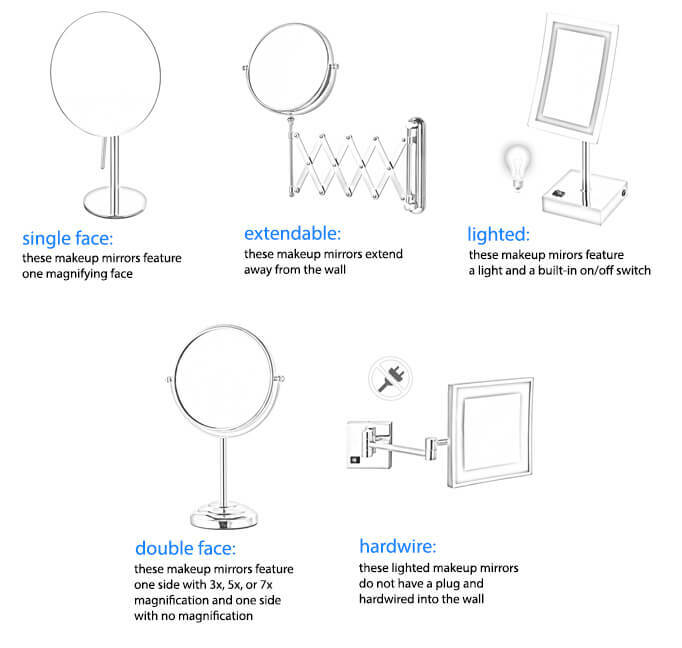 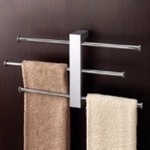 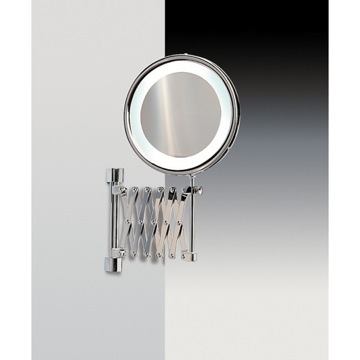 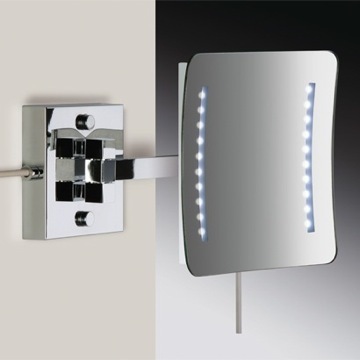 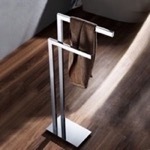 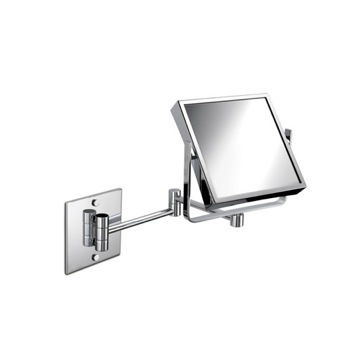 Complete your designer master bathroom with this luxury cosmetic mirror from Windisch. 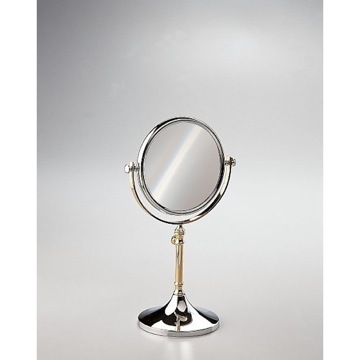 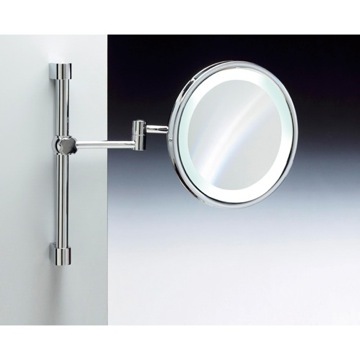 This modern, the highest quality makeup mirror is imported from Spain with brass and available in chrome, gold, chrome and gold, or satin nickel. 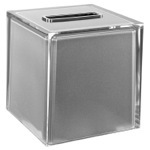 From the Windisch Warm Light collection. 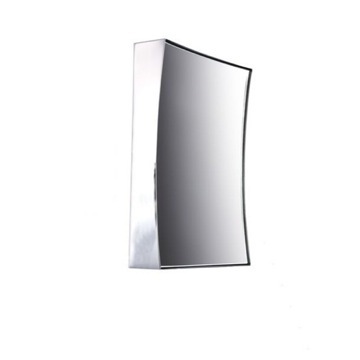 Complete your designer master bathroom with this luxury cosmetic mirror from Windisch. 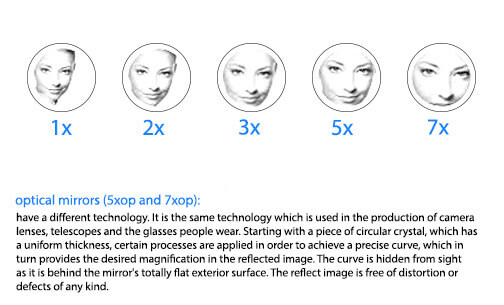 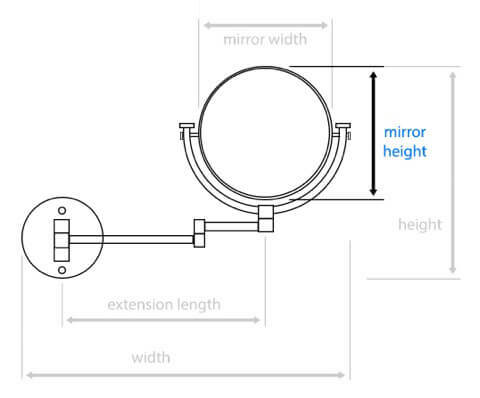 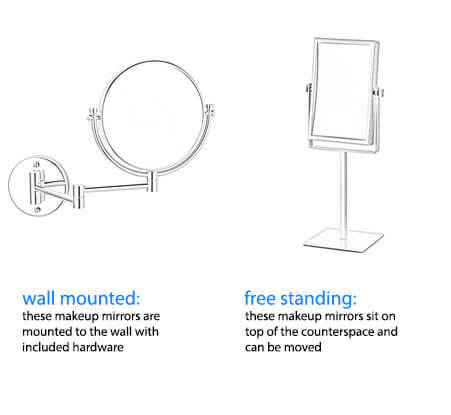 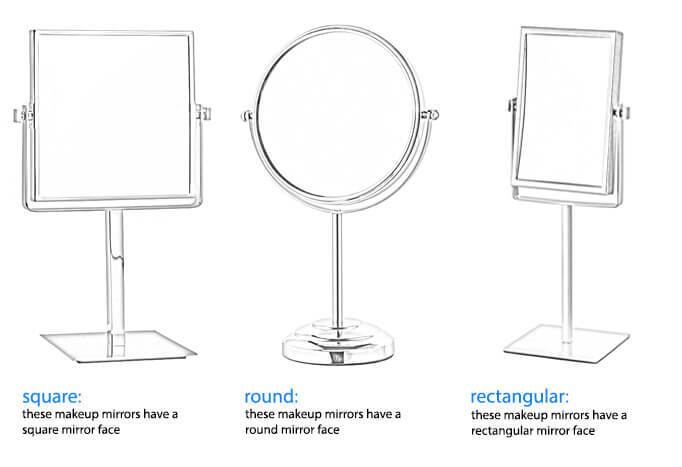 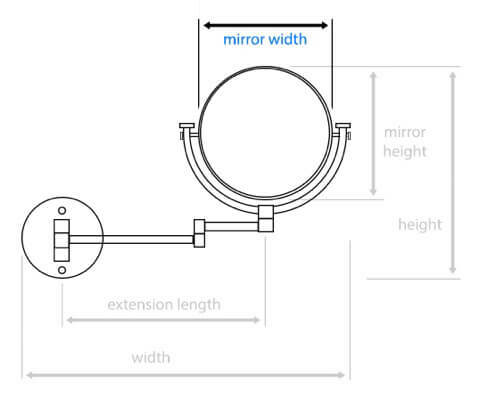 This modern, the highest quality makeup mirror is imported from and manufactured in Spain with brass and available in chrome, gold, chrome and gold, or satin nickel. 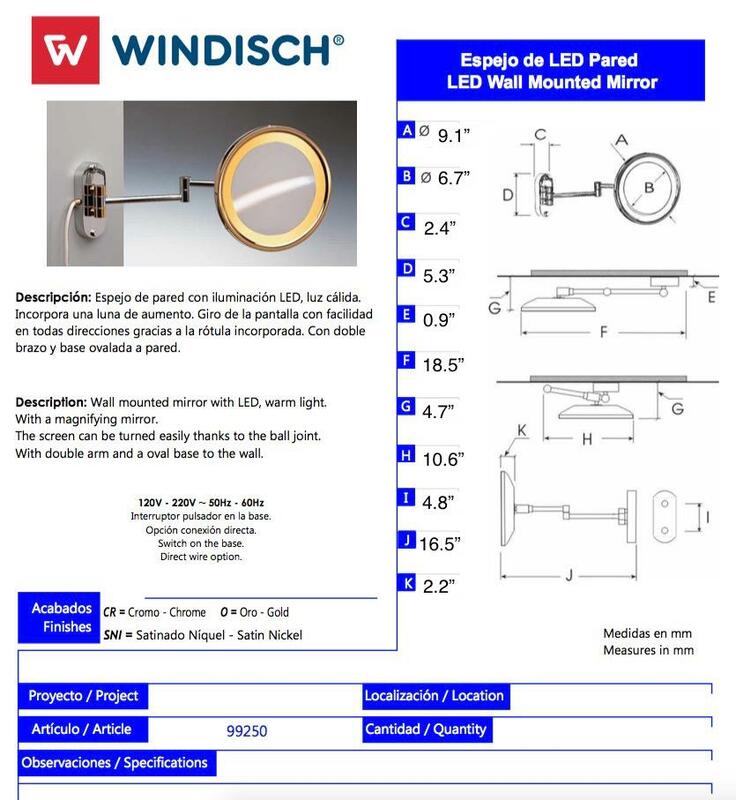 From the Windisch Warm Light collection. 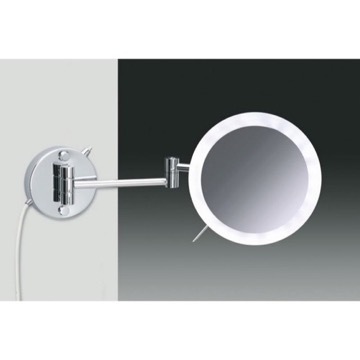 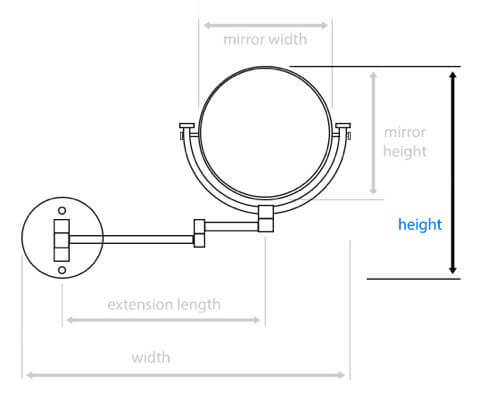 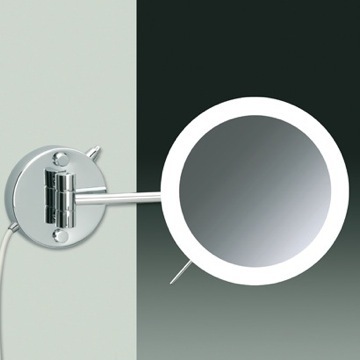 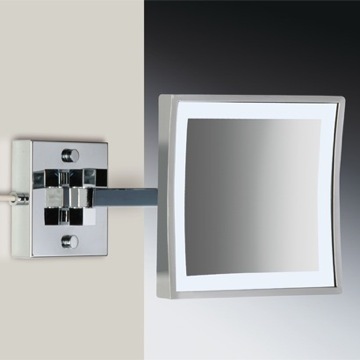 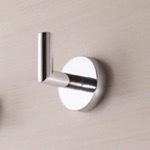 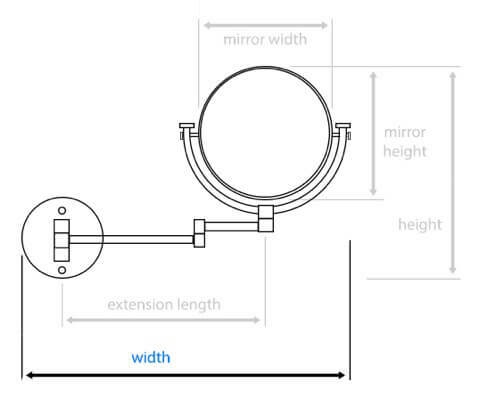 The wall plate measures 5.3" H x 2.4 W" x 0.9" D.